Laguna Beach in southern Orange County, California, is a beautiful coastal destination, offering a choice of sandy beaches, art galleries, restaurants and unique attractions. Go on a weekend trip and visit the Pacific Marine Mammal Center, explore the Laguna Art Museum, and many other great attractions. If you are planning a family vacation, take the kids to see the tide pools along the coastline, go on a self-guided public art tour, ride on the Laguna Beach Trolley, and see a show at the Laguna Playhouse. 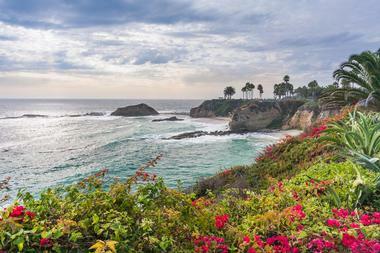 Here are the best things to do in Laguna Beach, CA. 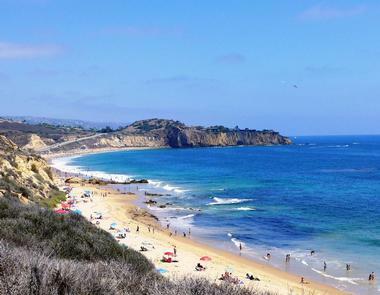 Crystal Cove State Park is one of California’s largest remaining open spaces and natural coastlines and one of the top Laguna Beach attractions. 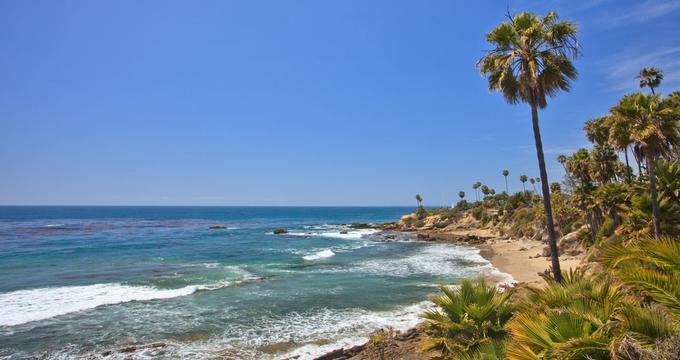 Located between Corona del Mar and Laguna Beach, Crystal Cove features beautiful sandy beaches, shimmering tidal pools, excellent surf, undulating hills, and thickly wooded canyons and ridges, making it a spectacular natural landscape. Boasting more than three miles of pristine beach and over 2,000 acres of rugged backcountry wilderness, Crystal Cove State Park is popular with outdoor enthusiasts who can take advantage of its magnificent scenery by hiking, biking, scuba and skin diving, swimming, fishing, and surfing in the area. For the less adventurous, tidal pools provide opportunities for extensive exploration, and State Park staff and docents offer interpretive programs year-round including tidal pool walks, guided hikes, and geology talks. 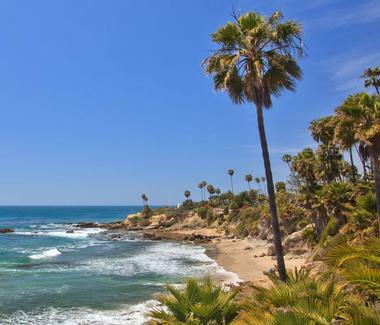 Stretching along the bluffs on Cliff Drive high above Laguna Beach and offering breathtaking ocean views is Heisler Park, a lovely green oasis that provides access to many of the beaches along the shore. Located just north of Main Beach between Aster Street and Diver's Cove, Heisler Park features walking trails, tidal pools, picnic tables, benches, and barbecue stands for fun gatherings and sunset watching. 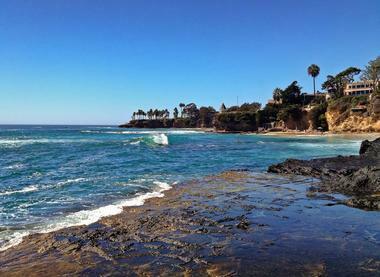 If you are wondering what to see in Laguna Beach, Heisler Park is a great place to start exploring. The park is home to the private Laguna Beach Lawn Bowling Club and a lovely gazebo at the south end, which is ideal for special occasions such as weddings or for spending an evening soaking up the views. The Pacific Marine Mammal Center rescues, takes care of, and releases marine mammals back into their natural habitats and is one of the best things to do in Laguna Beach, California. 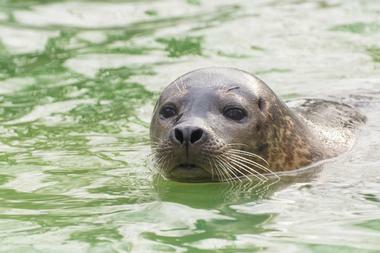 Established as Friends of the Sea Lion in 1971, the marine mammal rehabilitation facility was the first of its kind in California. In 1976, the center moved into a facility that was owned by the city of Laguna Beach and had been used by the local SPCA. If you are wondering what to do in Laguna Beach with kids, this is a great place to visit. The center cares for California sea lions, Northern elephant seals, Northern fur seals, and Pacific harbor seals that are found stranded along the beaches of Orange County, and it offers a wide variety of education programs for children and adults. 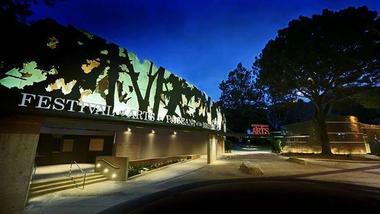 The Laguna Art Museum is a fine arts museum located on Cliff Drive in Laguna Beach. Founded in 1918 as the Laguna Beach Art Association, the current home of the museum opened in 1929. Today, this section is the Steele Gallery, a part of the museum’s facilities. 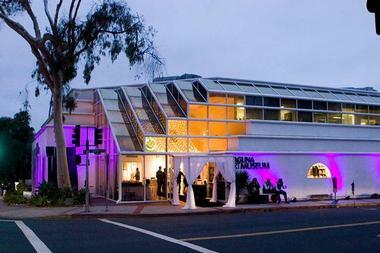 In 1986 the museum changed its name to Laguna Art Museum. 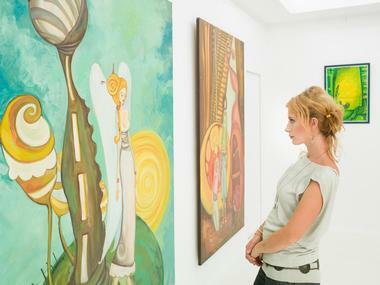 The museum is dedicated to preserving and presenting works of art by California artists; it is unique in that it is the only museum in the state that collects only California art. The pieces of art often depict the history of the state, and they span all periods and styles from the 19th century to contemporary works. 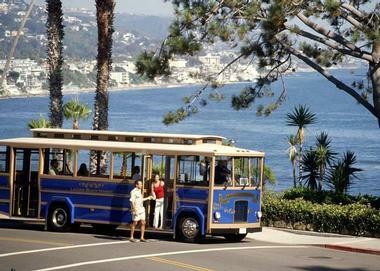 The Laguna Beach Trolley is a free weekend transportation system that operates in the city of Laguna Beach whose trolley runs along the South Coast Highway. The service begins at the Ritz-Carlton Hotel in the city of Dana Point and travels north as far as Cajon Street in North Laguna Beach. Many tourists start at Laguna Beach’s Official Visitors Center: here, they can pick up information about the trolley, local sights, hotels, restaurants, shopping, activities, parking, events, and much more. One of the trolley stops is just a short distance from the Visitors Center. From here, visitors can choose to get off at any of the 34 stops throughout the system. The Pageant of the Masters is a ninety-minute stage show of “living pictures” in which real people pose to recreate the characters of original artworks. World-renowned in the artistry and theatrical illusion of living pictures, The Pageant of the Masters is held every summer during the famed Festival of Arts, California’s annual premier fine art show. Faithfully recreating classical and contemporary works of art with real people, The Pageant of the Masters is held in a vast outdoor amphitheater and accompanied by a professional orchestra and original score, live narration, sophisticated lighting, and complex sets. The Laguna Beach Festival of Arts has been a highlight of the event calendar for over 80 years, showcasing the works of local artists across a variety of platforms and media, including painting, printmaking, photography, handcrafted wood and furniture, sculpture, jewelry, ceramics, glass, and more. The Festival of Arts not only features an array of award-winning exhibitions, but also art workshops, demonstrations, daily art tours, live music, and other special events. Situated at the western end of Crescent Bay Drive on a bluff high above the ocean, Crescent Bay Point Park is small, well-maintained park that features several walking paths and hiking trails and offers breathtaking panoramic views. This pretty bluff-top park and marine refuge has a neat grassy area with benches for admiring the scenery and great areas for scuba diving, snorkeling, and surfing, particularly at Big Hollow. This is a fun place to visit with the whole family. The park does not have restrooms. Discover the beauty and history of Laguna Beach on a free, self-guided walking tour through the area. Perfect for visitors wanting to explore and experience this laid-back Californian town or groups looking for a fun activity to enjoy together, Laguna Beach Walking Tours offers an array of tours covering different areas of the town, focusing on a variety of aspects of history and culture as well as fitness, food, and fun. Explore architectural landmarks and public art spaces, visit art galleries and museums, take in beautiful coastal blooms and scenic ocean views, and relax at one of several excellent restaurants, cafés, and bars – each tour has something for everyone. Signature tours include the Heisler Park Tour and the Downtown Walk with new tours like the Pearl District and Fitness Walk coming soon. Tours are suited for all ages and fitness levels. Simply request a free map on the web site and go on the self-guided walk when it fits in your schedule. 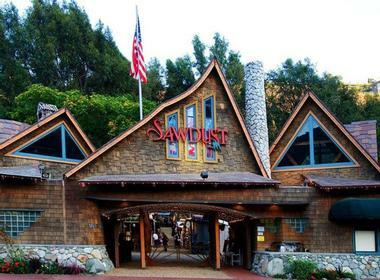 The Sawdust Art Festival is a fun event dedicated to promoting and celebrating art in Laguna Beach and inspiring the public to take an active role in supporting local artists. Drawing more than 200,000 visitors from around the world each year, the Sawdust Art Festival was designed to both entertain and educate. Here, sawdust-covered paths wind their way through a handcrafted village of fine arts and craftsmanship. The festival also features an array of demonstration art booths that showcases media such as woodwork, painting, glassblowing, and clothing and textile making, as well as a ceramics center, complimentary hands-on art workshops, and a special children’s art booth. Visitors can relax at one of four outdoor cafés and a saloon serving refreshments, and enjoy live music and entertainment. The Murphy-Smith Historical Bungalow is an outstanding example of a slice of Laguna Beach history. 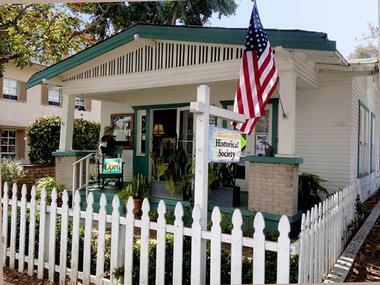 Managed by the Laguna Beach Historical Society, the bungalow is steeped in history, and visitors can enjoy a docent-led tour of the building and learn about life in Laguna Beach in the early 1920s. Built for the Murphy family in 1923, the bungalow is a typical example of a builder's cottage of that era, complete with multi-gabled roof, clapboard siding, and a porch gable. The cottage lived through two World Wars and is packed with memorabilia, photographs, and items from its long and fascinating history. Take in the incredible artworks and sculptures on display along the beachfront with a self-guided art tour. Stroll along the coastline and explore the array of temporary and permanent artworks, ranging from murals and sculptures to themed park benches and signage. The colorful and vibrant artworks are set against a beautiful natural backdrop of shimmering ocean views, and there are plenty of spots along the way where visitors can take a break and relax and enjoy the surroundings. A ‘Tranquil Moment’ gives you just that – it is a leafy enclave in which to escape the hustle and bustle of the beachfront. If you are looking for date ideas in Laguna Beach, ‘Canyon Chess and Checkers’ offers a fun-filled way to spend an hour over a game of chess. The stunning coastline of Laguna Beach is dotted with tidal pools that offer visitors a glimpse of life beneath the sea. The tidal pools lie in the intertidal zone, the area between the high tide and low water line that teems with various forms of fascinating marine life. All of the tide pools are in a State Marine Conservation Area and fall under the protection of the Marine Life Protection Act Initiative State, which means that nothing is allowed to leave these areas, including game fish, invertebrates, sand, rocks, and shells. Tide pool docents based on the Main and Treasure Island beaches are available to introduce and guide you through the tide pools and explain more about the fragile ecosystems that survive in them. 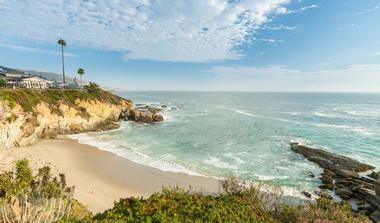 More California destinations and California beaches. Located south of Main Beach on Victoria Drive, Victoria Beach is known for its pristine white sandy beach, beautiful blue-green waters, and exclusive residences. Most of this southwest-facing beach lies in front of the private gated Lagunita housing development, which is home to an array of incredible mansions and luxurious homes. One of the main attractions at the beach is the Victorian Tower, a Victorian turret or lighthouse type structure reminiscent of the 16th century that was actually built in the 1920s and has been attracting visitors ever since. There are volleyball courts on the north and south ends of the beach and other popular activities to enjoy in the area include diving, fishing, body surfing, and skim boarding (at the south end). Victoria Beach is one of the most secluded public beaches in the area, and while it has a lifeguard, it offers very limited parking and no running water or restrooms. The Laguna Playhouse is a mid-sized regional theater that presents comedy shows, plays, musicals, children’s productions, and more. Founded in 1920, the theater began by offering play readings and performances in storefronts and in private homes. Built in 1924 on Ocean Avenue in downtown Laguna Beach, the theater’s first home was called The Playhouse. 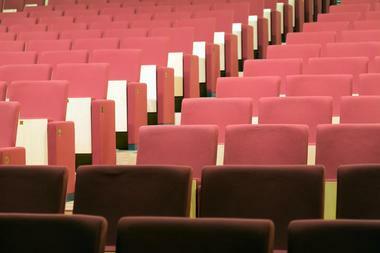 The theater continued to operate during the Great Depression and during World War II but eventually outgrew its home. Moulton Theatre was built in 1969 on city-owned land. The theater is known for its extensive education outreach programs, including classes and workshops, the Youth Theatre, the Youth Conservatory, and more. Main Beach, the largest beach in Laguna Beach, is located in the middle of the city where Broadway Street and Ocean Avenue meet South Coast Highway. The historic 1929 lifeguard tower in the middle of the beach is a well-known landmark on this popular beach. People come to Main Beach to enjoy the sand and the surf, and popular water activities include swimming, body surfing, and bodyboarding. Other activities include basketball and volleyball. There are two basketball courts located at the north end of the beach as well as several volleyball courts. A boardwalk runs the length of the area, and many people walk on this boardwalk or sit and people-watch. More California vacations. Located where 9th Avenue meets South Coast Highway, Thousand Steps Beach is a wide, sandy public beach that stretches for approximately seven blocks. 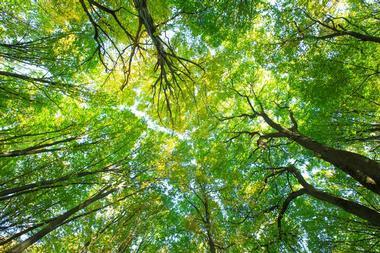 It is found at the bottom of a set of 223 steep steps that are shaded by a canopy of trees and vines. There are two steep cliffs at either end of the beach that mark the length of the beach. The beach is popular for activities such as body surfing, sunbathing, surfing, volleyball, and more. You can find a large cave at the south end; the entrance is exposed during low tide, and you can walk through the cave to a small beach on the other side. 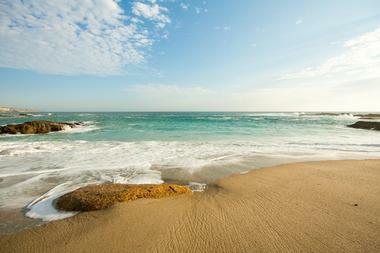 Aliso Beach Park is a large sandy beach that is family-friendly. Above the beach are rock formations that are home to various forms of wildlife, and you can participate in popular water activities like paddle boarding, skim boarding, skin diving, surfing, and swimming. Every July, the Skim Boarding World Championship is held at Aliso Beach Park. 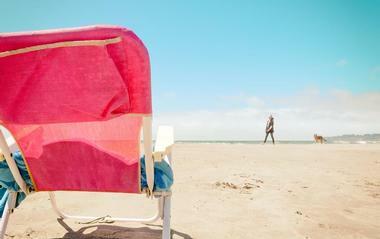 Other activities include sand castle building, sunbathing, and exploring tide pools. There are lifeguard services, parking facilities, restrooms and showers, and a concession stand that sells food and beverages. There are six fire rings that are available on a first come first serve basis. More places to visit: Things to Do in Healdsburg, Sonoma. 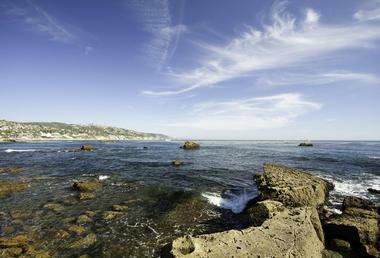 Table Rock Beach is a small sandy beach owned by the city of Laguna Beach. Visitors walk down a wooden staircase that leads towards a bamboo grass trail before arriving at the beach. There is a tall rock wall formation on the northern end and sandstone walls on the south side of the area. Visitors can get an amazing view of Thousand Steps Beach from the south side of Table Rock Beach. Popular activities at this beach include photography, sunbathing, snorkeling, and swimming, but skim boarding is by far the most popular activity because of the unique shape of the waves. Located on Forest Avenue in the Artist Colony area of Laguna Beach, Kush Fine Art Gallery is a gallery that displays and sells pieces of artwork. Opened in 2006 by Vladimir Kush, the gallery sells a variety of pieces including drawings, etchings, oil paintings, watercolors, and sculptures and jewelry made from bronze, gold, silver, and precious and semi-precious stones. Mr. Kush is a Russian born surrealist painter and sculptor who began attending art school at age seven. He immigrated to the United States and set up galleries first on Maui, Hawaii, and later in Laguna Beach and two locations in Las Vegas. 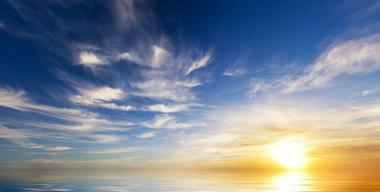 Laguna Coast Wilderness Park is a 7,000-acre wilderness area located on Laguna Canyon Road. One of the last coastal canyons in Southern California, the wilderness area lies in the San Joaquin Hills that surround Laguna Beach. There are 40 miles of biking and hiking trails that take visitors through a variety of landscapes such as oak, sycamore, and willow woodlands as well as areas of cacti, sage scrub, grassland, and maritime chaparral. There are many different animals living in the park including birds, bobcats, deer, hawks, weasels, and more. In addition to the canyons and ridges, this park contains the only natural lakes in Orange County. Hortense Miller Garden is a 2.5-acre garden on the upper slopes of Boat Canyon. Established by Hortense Miller in 1959, the garden was planted with more than 800 species of plants, 150 of which are native plants. 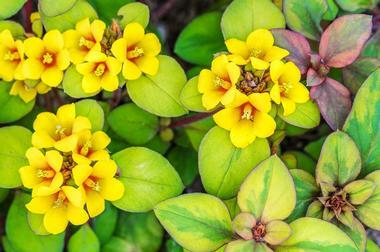 She was not only a gardener, but also an artist, environmentalist, feminist, and writer. The garden is also home to several kinds of animals including foxes, opossums, raccoons, and skunks. Experienced docents lead two-hour tours of the garden. The house sits perched on a steep side of the canyon and contains many windows with views of the canyon and the Pacific Ocean. La Vida Laguna is an outdoor activities tour company that offers a variety of kayak tours that focus on the ocean, the bay, and the harbor. The Laguna Ocean Kayak Tour leads kayakers along the coastline where they see beaches, cliffs, and marine wildlife such as dolphins, sea lions, and whales. The Newport Back Bay Eco Tour explores the natural estuary of Newport Back Bay, the largest natural estuary in southern California. It is a wetland of mudflats and marshlands, and many varieties of birds and fish live in the area. 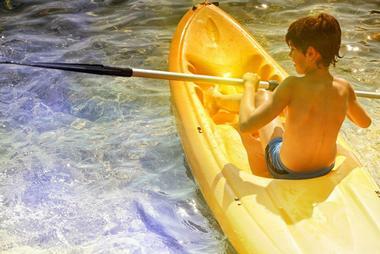 The company offers several other activities such as biking, hiking, paddle boarding, and surfing. 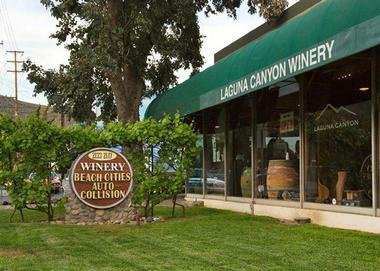 Laguna Canyon Winery is a boutique winery that was established in 2003. Grapes are shipped down from Napa and Sonoma counties for processing at the winery. In the winery’s tasting room, visitors can try two wines, these are the company’s premium brand Laguna Canyon and Purple Paws. Red wines include Cabernet Franc, Merlot, Pinot Noir, Syrah, Verdot, Zinfandel, and more, while white wines include Chardonnay, Gewurztraminer, Pinot Gris, and Reisling. The winery also produces four sparkling wines. It hosts many special events such as WineMaker Dinners, Wine and Cheese Receptions, and private events such as corporate lunches, birthday parties, weddings. 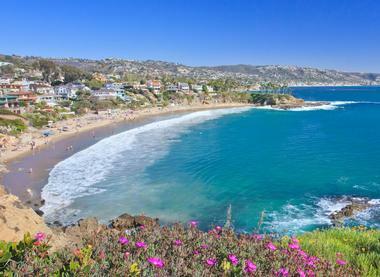 South of Laguna Beach on the rugged Southern California coast is the lively city of Dana Point. Located on a beautiful stretch of shoreline where thousands of tourists come to watch dolphins and whales, Dana Point is the location of the annual Festival of Whales, a huge event that attracts people from all over the country. The festival lasts two weeks, and during that time more than 60 events take place in and out of the water, ranging from a fishing clinic for the kids, tall ship races, art shows, and music concerts to the Rubber Ducky Derby, Woodies and Corvette shows. 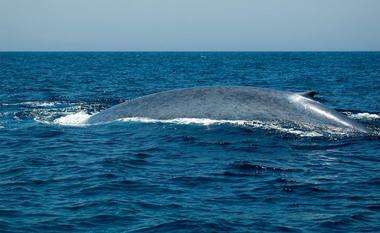 and numerous whale watching trips. It is non-stop fun and action, not to be missed if you are in the area. Glenn E. Vedder Ecological Reserve - Underwater Park and Tidepools is a reserve for marine life, including plants, game fish, rocks, and shells. The reserve extends from the north section of Main Beach to Diver’s Cove. 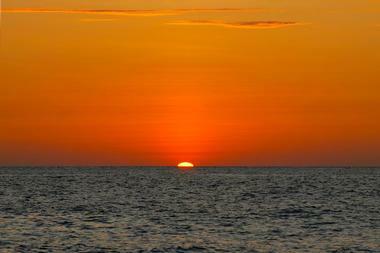 There are several areas along the coastline that visitors especially love to explore. The south side of Picnic Beach has a flat rocky area covered with sea anemones that you can easily see during low tide. At RockPile, the tide pool is similar to the one at Picnic Beach, but here you can catch an occasional glimpse of an octopus. At Bird Rock, you can see exciting creatures such as red urchins, sea cucumbers, and sea hares. More California destinations: Long Beach, California.